The team, led by William Sparks of the Space Telescope Science Institute in Baltimore observed these finger-like projections while viewing Europa’s limb as the moon passed in front of Jupiter. 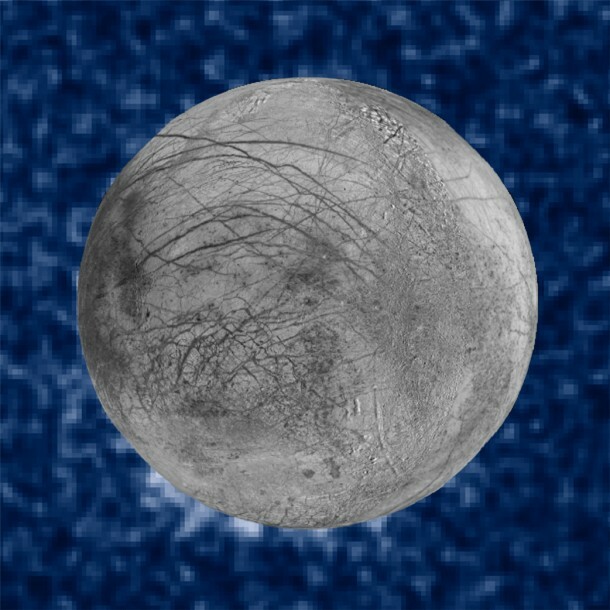 This work provides supporting evidence for water plumes on Europa. In 2012, a team led by Lorenz Roth of Southwest Research Institute in San Antonio detected evidence of water vapor erupting from the frigid south polar region of Europa and reaching more than100 miles (160 kilometers) into space. Although both teams used Hubble’s Space Telescope Imaging Spectrograph instrument, each used a totally independent method to arrive at the same conclusion. The work by Sparks and his colleagues is published in the Sept. 29 issue of the Astrophysical Journal. Planetary scientist Kevin Hand of NASA’s Jet Propulsion Laboratory, Pasadena, California, co-authored the new paper. The Hubble Space Telescope is a project of international cooperation between NASA and ESA (the European Space Agency.) NASA’s Goddard Space Flight Center in Greenbelt, Maryland, manages the telescope. The Space Telescope Science Institute, which is operated for NASA by the Association of Universities for Research in Astronomy in Washington, conducts Hubble science operations.